The design centre is a creative hub where there’s always something new happening, says the design director of Firmdale Hotels. Proving that it’s one of the most versatile materials of all, leather is being embellished and reinterpreted in ever-more inventive ways. 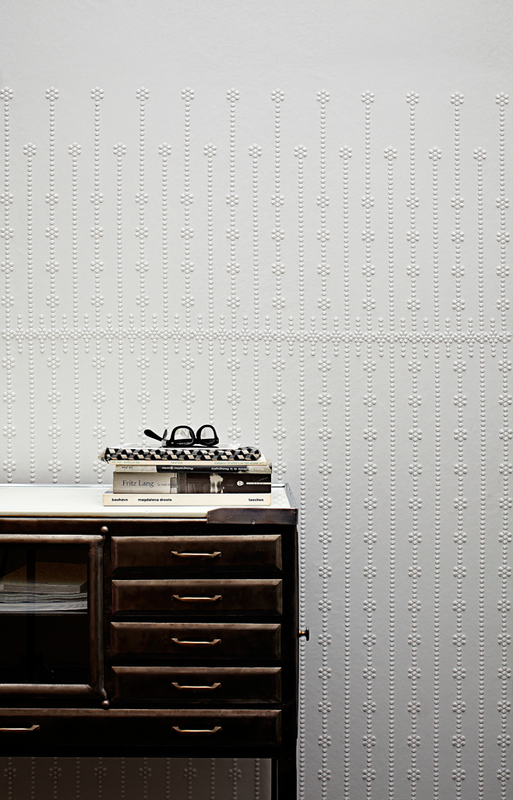 Texture plays a big part: Whistler Leather has introduced a woven product for furniture, upholstery and walls, while the Ricamo collection by Studioart (available from Rubelli/Donghia) is delicately embroidered – pictured is ‘Daisy’, used as a wallcovering. Studioart’s tannery also produces leathers for Italy’s finest fashion houses, yet more proof of the closer link between apparel and interiors. Edelman, meanwhile, focuses on soft, strong and natural hides for its Whole Grain collection. “I get a well-rounded idea of what’s happening in fashion, art and design when I come here,” says the art adviser. Patternity’s co-founders on the inspirational power of pattern. 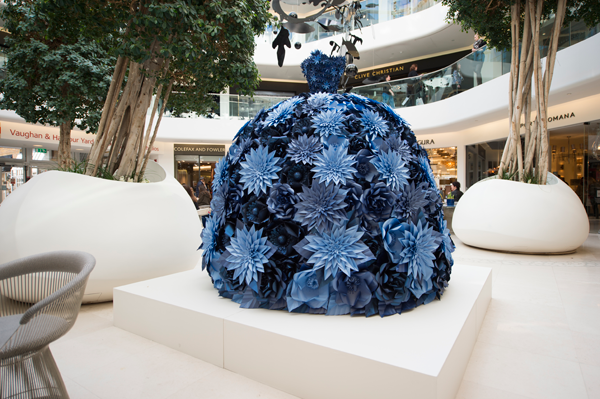 Renowned paper artist Zoe Bradley was commissioned to create a floral couture-inspired gown made entirely from paper to celebrate London Design Week 2016. Working in harmony with the Design Centre’s architecture, the shape of the skirt was devised to echo the famous domes. It took a seven-strong team over 140 hours to complete the two metre piece with 400 exquisite blue flowers meticulously handmade in Zoe’s studio. Employing techniques of sculpting and hand-folded origami, it comprises of wild roses made up of 2,500 petals, chrysanthemums with 1,188 petals, cherry and apple blossom, as well as 3,500 leaves made with 17,500 folds. With her eye for detail and composition, the petals were fine tuned with a harder edge and the stamens given a cleaner line to reflect this season’s more graphic design direction. Zoe has worked for international names including Christian Louboutin and Alexander McQueen and has exhibited internationally in galleries from London and Amsterdam to Hong Kong and New York. Leading publications including American and Chinese Elle, Italian Casa Vogue, British Vogue, Harper’s Bazaar, Wallpaper* and House & Garden have featured her breathtaking designs. “We have relationships with some of the best suppliers in the world, and it’s great to connect with them here,” says the chairman of the Doyle Collection. “Wallcoverings are our life,” says the owner of new Arte, a new showroom in Design Centre East.